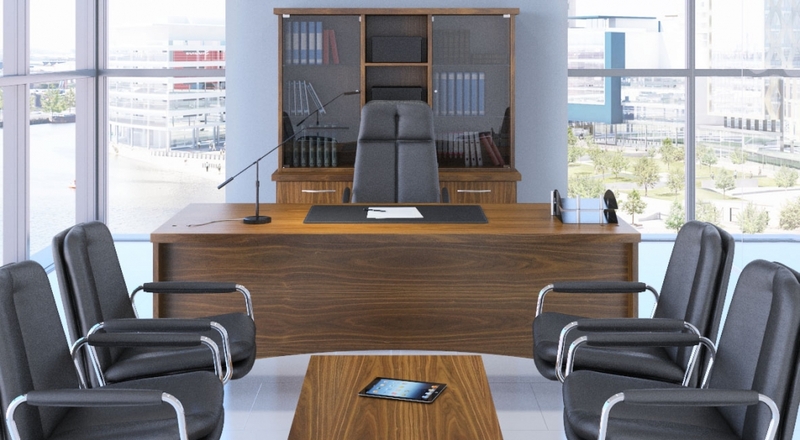 Sven Christiansen’s Fulcrum range provides the benchmark for high-quality conference tables, executive and managerial desks and reception counters. Fulcrum combines an unmistakable presence with unobtrusive yet highly effective provisions for cabling and other supporting elements of modern technology. Fulcrum encompasses high-quality executive and managerial desking and a very extensive range of conference and meeting tables. 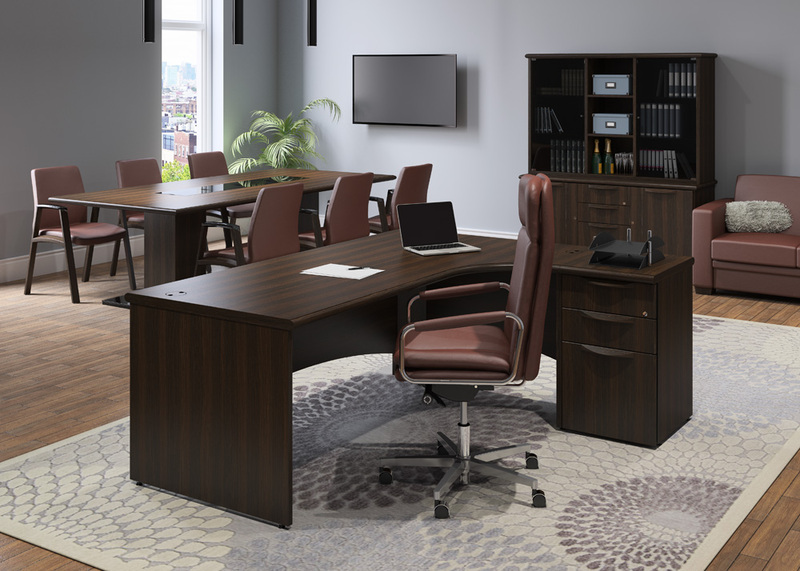 Fulcrum is offered in a wide selection of natural woods veneers, with either solid hardwood or MDF edges in a choice of profiles. 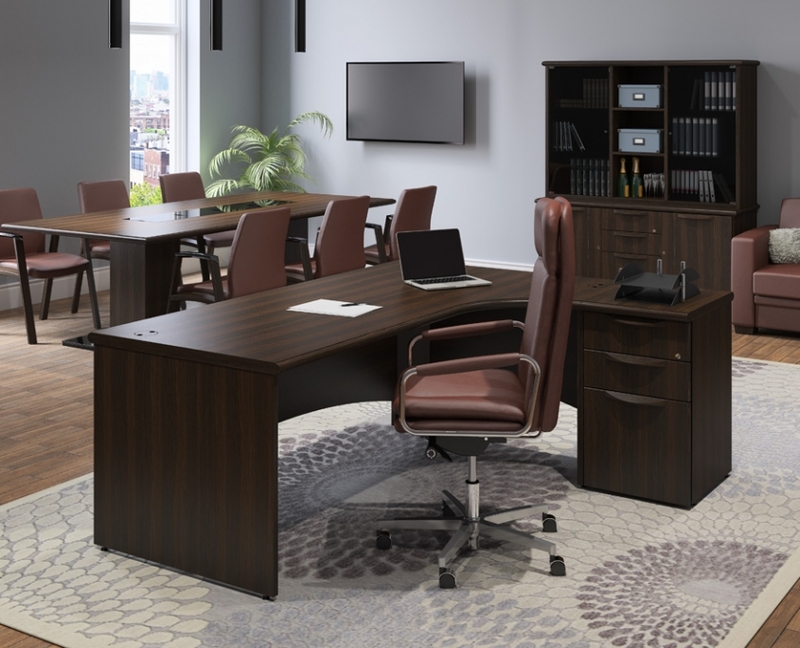 Fulcrum has its own freestanding storage options with open fronts or with doors (timber or glass), filing drawers or vertical tambours closures in a range of combinations, along with fitment options, bookcases, filing cabinets or credenzas which some may be fitted with a fridge for boardroom use. Matching freestanding storage up to 2000mm high is available. 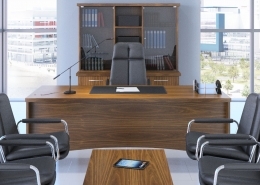 Fulcrum offers a range of exception tables for executive offices and meeting and conference rooms. Tables are offered as standard in widths up to 5000mm and diameters up to 1500mm, with an extensive choice of top shapes and base/leg options. In addition to the standard veneers, we offer inlays of burr and exotic veneers which are also available on cable management flaps and tiles. Fulcrums reconfigurable tables comprise rectangular, semi-circular and quadrant modules on panel bases or bow legs that can be used independently or combined/reconfigured to form a large circular, d ended, U shaped or circular configurations. All components are freestanding and no tools or linking devices are required perfectly designed to create open centred layouts when combined. 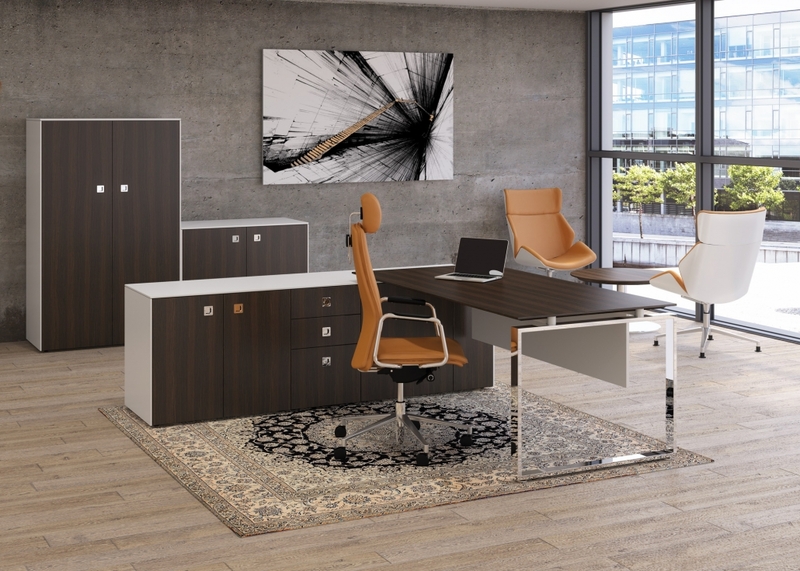 Fulcrum offers a range of coffee tables to enable you to keep the same theme throughout your office space square, rectangular and circular coffee tables on round tubular legs in polished chrome, arrowhead bases, box bases, timber column bases, and stainless steel pedestal bases.